The crew from Steve’s Auto Repair & Tire was out on Neabsco Mills Road in Woodbridge this weekend, cleaning up the roadway for Keep Prince William Beautiful (KPWB). 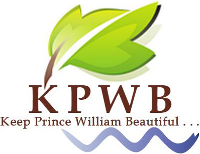 KPWB is an organization in Prince William County that focuses on keeping the county clean and beautiful, with an emphasis on preserving the environment and natural beauty of the area. Steve’s is proud to run the “Adopt-A-Spot” along Neabsco Mills Road. “We clean up basically from Route 1 on Neabsco [Mills Road] all the way up to Dale Boulevard. We find a lot of interesting stuff around here,” said Steve’s owner ST Billingsley. According to Billingsley, the crew was able to take advantage of the nice weather to pick up trash. “One of the things we do for KPWB – Keep Prince William Beautiful – is that we take care of the bus stops here on Neabsco Mills Road,” said Billingsley. Billingsley said that each time the crew comes out to pick up trash, they collect between 8 to 12 trash bags from the area that they cover. Steve’s Auto Repair knows that a clean community will attract more visitors and residents to Prince William County. That is why, we joined the adopt-a-spot program, and will be nurturing our newly adopted spot to keep it clean.